Sen. Ted Cruz (R-Texas) opposes the FIRST STEP Act, which includes sentencing reforms that are less ambitious than ones he enthusiastically supported just three years ago. Cruz has never offered a plausible explanation for this turnaround. 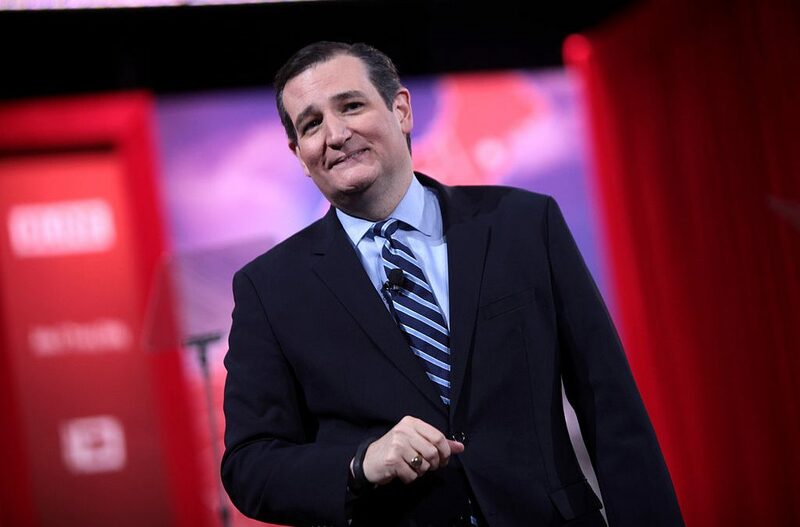 When the Senate Judiciary Committee approved the Sentencing Reform and Corrections Act (SRCA) last February, Cruz was one of just five members who voted against it. He offered an unsuccessful amendment that would have eliminated retroactive application of shorter sentences for certain nonviolent drug offenders, a feature he said would doom the bill. “If you want this bill to be more than a messaging press release, if you want this bill to actually to go into the United States Code, particularly given that we have an administration and an attorney general who have come out against it,” Cruz said, “I would suggest the way to maximize the chances of doing anything to fix the problem is to accept this amendment. Its chances of passing would rise dramatically.” Yet now that Jeff Sessions is gone and Donald Trump has endorsed the Senate version of the FIRST STEP Act, which includes several elements of the SRCA, Cruz is still opposed to the changes. The Declaration, Preamble, and the Restriction’s specified to be applied on Congress, and the States, in the main body of the U.S.Constitution, CLEARLY DESCRIBE the [ INTENT ] of the Founding Father’s, that no LAW’S were to be passed that would restrict, in Any way , the [ UNALIENABLE RIGHT’S ] Endowed to ALL MEN by their Creator, RIGHT??? To further clarify that [ INTENT ], the Bill of RIGHT’S was added to describe, the parameter’s to be followed to ensure those RIGHT’S and avoid any misunderstanding, RIGHT??? Only those who have difficulty mastering the[ ENGLISH ] language and the INTENT of the Founding Fathers would have need of adding further Amendment’s to the Bill of RIGHT’S, RIGHT??? are being targeted and killed, RIGHT??? CAN YOU THINK of any better reason to REPEAL this UNCONSTITUTIONAL LAW,??? All the voters know that it’s WRONG, but they just don’t know what to do about it, RIGHT, ??? You should know, just repeal it and stop the stealing, RIGHT??? The latest gig in New York is the Police have a deal with the Insurance companies, they hand out false tickets so the Insurance companies can charge higher rates for having a ticketand split the profits with the police, RIGHT, ??? Is it any wonder the opressed want to SHOOT the CROOKED POLICE,??? Prove me wrong if you dare,??? promise your voters you will repeal this law and you will WIN your election,RIGHT??? If I were you, I wouldn’t get over concerned about something this complicated. Has any one heard of the Broken Window program ??? It’s the non violent deterrent program that tries to keep petty criminals under supervision so they don’t become serious criminals. Sort of like Tough Love on steroids. I basically agree with the First Step Act. Some people in their youth have made rash mistakes that they later regret. I know I have, but not bad enough for jail or prison, just stupid mistakes.